Sedlec Ossuary – Shot of the Day | Aren't We All Just Tourists Here? Skull and coins inside the Sedlec Ossuary..Kutna Hora, Czech Republic. 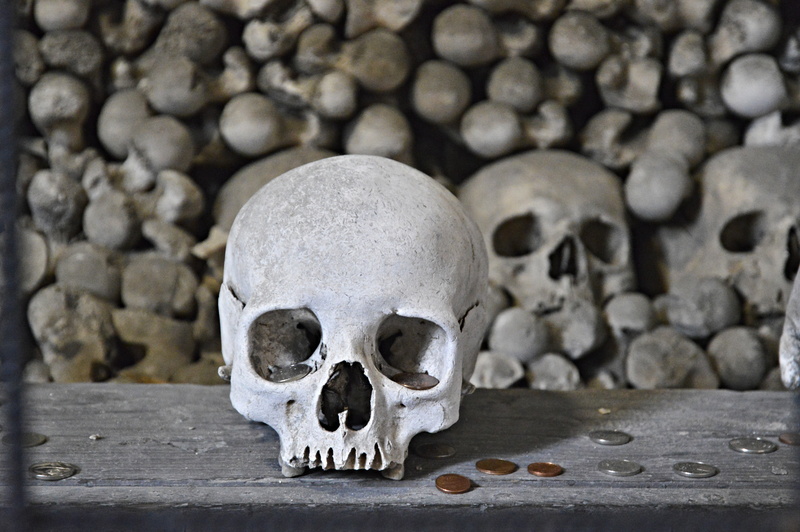 This entry was posted in Photography, Travel and tagged coins, Kutna Hora, Sedlec Ossuary, skull by Steven. Bookmark the permalink.